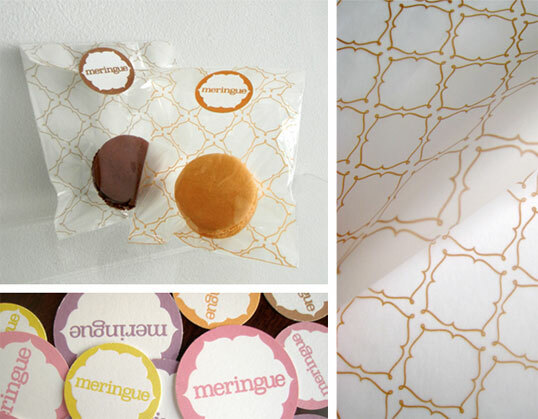 “Identity and package design for Meringue, an upscale dessert boutique, seeking to capture the airy whipped quality of meringue, the main ingredient in most of the store’s pastries. 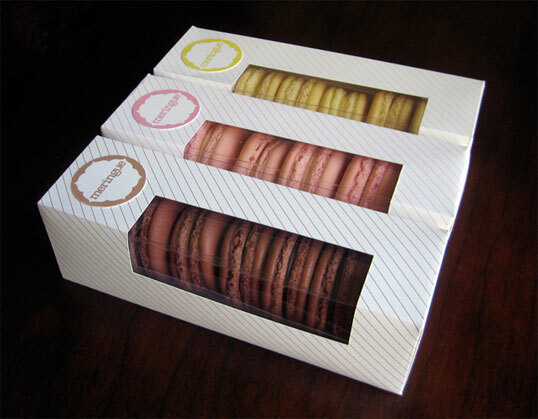 Three types of packaging highlight the form and color of meringue cookies and macarons, two of Meringue’s signature sweets. I recently posted a blog about company colours and how they are used commercially. I mentioned that pink is a good colour for sweet things. Well done Samira, this work is very impressive. 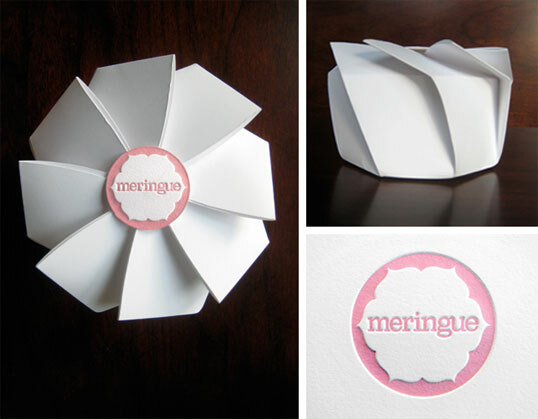 The meringue shape is complex yet looks simple and it really does present the purchases in a special way. I would love to buy a box of goodies and give them to a friend for tea. This packaging adds value!! I love it! Very simple, ellegant and impressive. This is exactly the kind of design I like on food products. It gives the product a luxurious look and as Yasmin said – it makes the macarons look like a beatiful present which I would love to give or get Im jealous of your talent! SAMIRA!!! OH MY GOSH! I just saw your work on the main site for notcot.org, you’re famous!! haha looks great!! congratulations! Saw this on http://www.notcot.org It looks great! These are stunning! Definitely a case of the packaging selling the product! Great work! It’s airy, fun and sophisticated; absolutely perfect for an upscale dessert boutique. Really sweet piece of packaging. Its so interesting to see how the brand translates into form and function and doesn’t linger just as a marque and colour palette. Great work! I would like to use it, do you think we can talk about? I would love to talk to you about designing packaging for my cookies. Would you please email me?